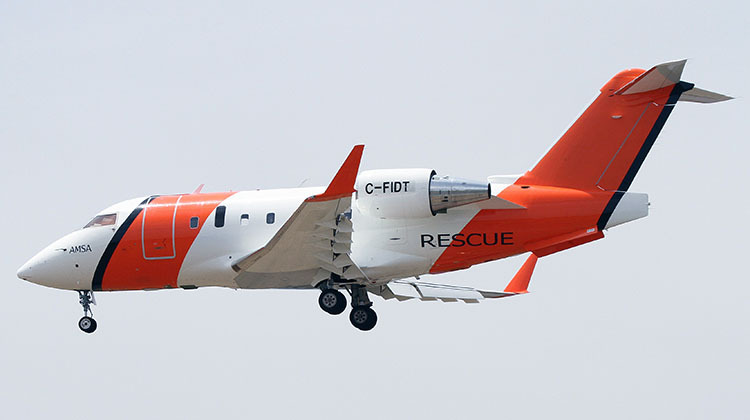 The first of four Bombardier Challenger 604 special missions jets which Cobham Aviation will operate under a 12-year contract to provide search and rescue aircraft for the Australian Maritime Safety Authority (AMSA) has arrived in Australia. 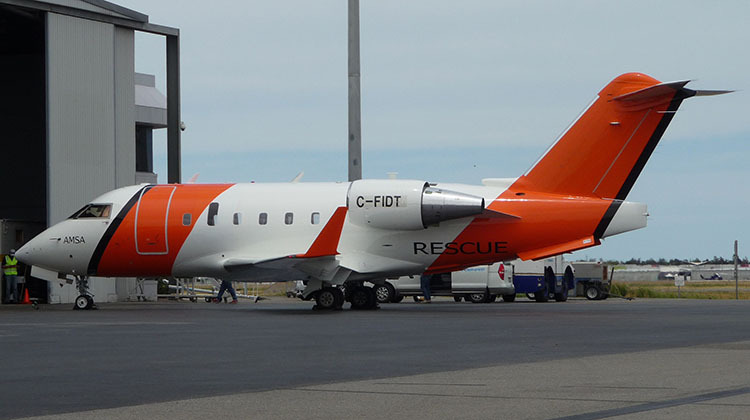 The aircraft, currently registered to Canada’s Field Aviation as C-FIDT, arrived into Adelaide around midday on Wednesday after departing Vancouver on December 27 and transiting Kona, Hawaii and Nadi, Fiji. Cobham Aviation Services Australia is acquiring and will own, modify, operate and maintain the four Challenger jets, with much of the modification work to be undertaken at Cobham’s Adelaide base. The aircraft are to be fitted with a range of sensors including a search radar, FLIR, a ViDAR (Visual Detection and Ranging) system, beacon and direction finders, plus satellite communications and a mission management system. They will also be fitted with large search windows and air operable doors for aerial delivery. The Challengers will be based at Perth, Melbourne and Cairns, with a fourth serving as an operational spare. At the time of contract award in October 2014 operations were due to begin from Perth in August 2016 and from Melbourne and Cairns from late 2016. AMSA’s current fixed-wing aircraft SAR capability is provided by Paspaley Pearl Group subsidiary AeroRescue, which operates five Dornier 328 turboprops based in Brisbane and Darwin as well as Perth, Melbourne and Cairns. AeroRescue will continue to provide SAR coverage until Cobham takes over the service. I have many hours flying that airframe and it will serve the mission well! I wonder if the same type of aircraft will replace Coast Watch aircraft? Also why wasn’t an Australian company awarded the contract? Yes the aircraft are Australian registered, Australian modified and Australian crewed but all the profits are going back to a foreign company. Also 3 aircraft with 1 operational spare? Maybe a 5th aircraft may have been a good idea to have it based in North WA or in Darwin. to reduce travel time to the over of 2-2.5 hours the other aircraft bases have? The reason the contract was awarded to a foreign company is probably the same reason the ADF award maintenance and support contracts to foreign companies. Lack of Australian companies with the capability. There is also a potential to end up with a situation where the ADF also loses its capability and become purely a procurement organisation (remember when search and rescue was conducted by the military). It is only a matter of time before a major international company having two of its subsidiaries operating on opposite sides of a conflict.